The December 9 rally at the Ramlila Maidan is being called by saints and seers associated with VHP. 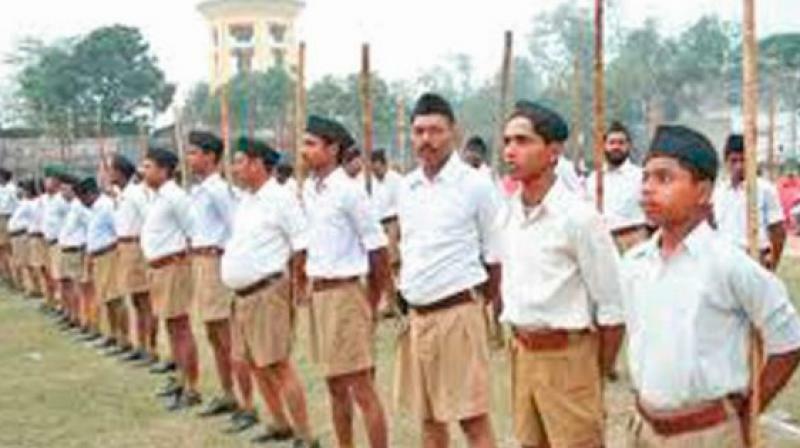 New Delhi: With the Rashtriya Swayamsevak Sangh (RSS) engaging all its affiliates to keep the Ram Mandir issue alive ahead of the 2019 electoral battle, a ‘Sankalp Rathyatra’ will be flagged off on December 1 in the national capital that will cover all districts. It will culminate on December 9, coinciding with the Sangh Parivar affiliate Vishwa Hindu Parishad’s (VHP) mega rally at the Ramlila Maidan to put pressure on the Central government for construction of the temple at the disputed site at Ayodhya. While the VHP is leading the Sangh Parivar’s campaign for the Ram temple — a sub judice matter — this ‘Sankalp Rathyatra’ will be spearheaded by another Sangh Parivar affiliate, Swadeshi Jagran Manch (SJM). The Rathyatra will be flagged off from Jhandewala Mandir, a few metres from RSS’s Delhi headquarters. The December 9 rally at the Ramlila Maidan is being called by saints and seers associated with VHP. Nearly 5 lakh people are expected to attend the rally, which will be addressed by senior leaders of the Sangh Parivar. The RSS has activated all its affiliates to turn its campaign for the Ram Mandir into a people’s movement, with its leaders demanding a legislation in the Winter Session of the Parliament for construction of the temple. In fact, RSS supremo Mohan Bhagwat had demanded that the government should bring a legislation for the temple. While clamour within the Sangh Parivar is growing for the temple, the Modi government is yet to react on the vital issue.